Been told you can not use satin ribbon to do ribbon embroidery? Well yes you can!! Soft 3mm satin ribbons, almost 200 colours to pick from here. 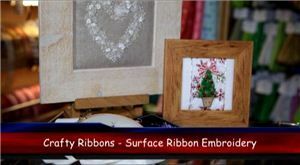 Or why not try one of our embroidery kits - perfect for beginers here.